Chinese dragon is an imaginary animal in ancient China and one of the twelve Chinese zodiac signs. No one can prove that it exists in reality. It usually appears in legends and myths. Therefore, Chinese dragon is endowed with a special image by Chinese: horns like deer, head like cattle, eyes like shrimp, mouth like donkey, stomach like snake, scale like fish, feet like phoenix, beard like human, and ears like elephant. It is always painted as the following picture. In China, different from the western countries, dragon is a kind of animal which brings good luck and happiness to people. It is deified as the water god once. 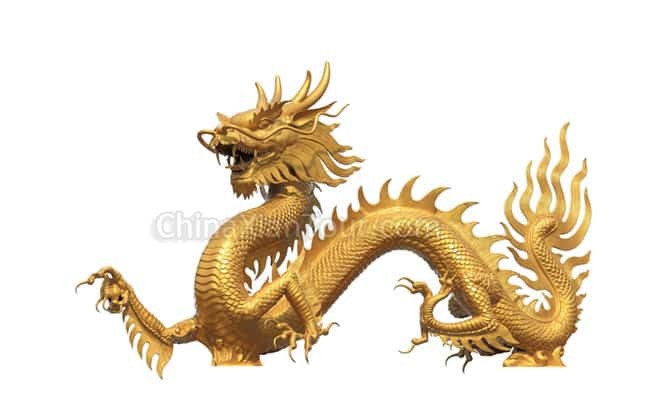 Later in Qin Dynasty, it has become a symbol of imperial power so the Chinese dragon is usually tinted in yellow (yellow used to symbolize the royalty and kingship). 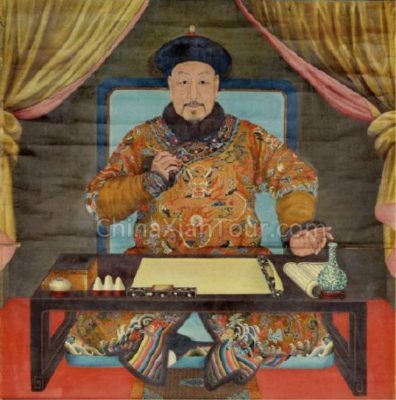 In ancient time, the clothes of emperor will be embroidered with dragon to manifest their identities. If civilian wear clothes with dragons, they will be punished to jail. 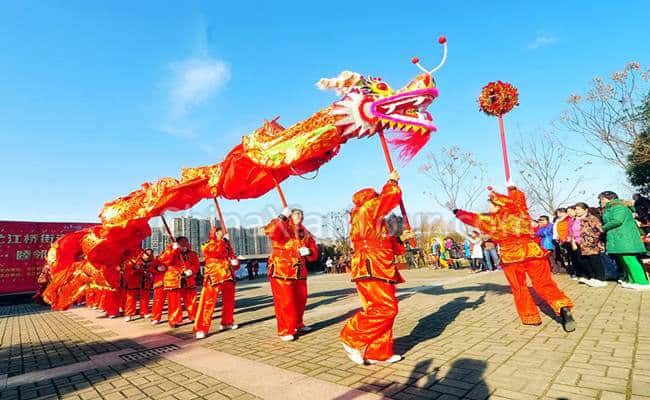 There are also many traditions relating to Chinese dragon, such as dragon dance, dragon boat racing. On the Chinese Lunar New Year and Lantern Festival, people will have a dragon dance performance in public places. 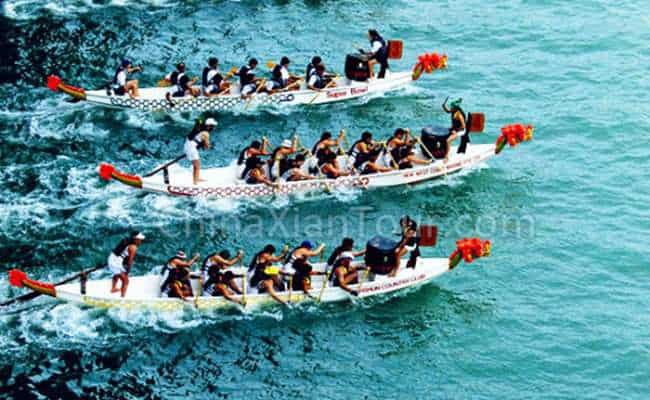 On the Dragon Boat Festival, to memorize Qu Yuan, a Chinese famous poet in ancient time, people will hold dragon boat racing popularized everywhere, which always attracts a national focus. Because dragon is an important cultural image of China, from ancient time to now, countless people have left the marks of dragon in countless places. Literally, dragon exists everywhere. The poets admire it, the sculptor carved it and people worship it. In brief, Chinese dragon maybe exist, maybe not. However, through hundreds of years, it has become a part of Chinese spirit and Chinese culture. It supports the lifeblood of the Chinese nation and leads China forward.